!Quiz Bird #5 Unmasked/Acertijo Aviario #5 Descifrado! Congratulations once again to Teresa Bueno of Atenas for correctly and speedily identifying our Bran-colored Flycatcher. This quiz had only two entries, both of which were correct, so, ‘Hello San Vito Bird Club birders?’ We need more contestants! Is this not the most fascinating thing you have ever done? I thought so too, so hi ho: let’s crisp it up. Watch for the next quiz and give it your very best guess, OK? Again, thank you to Gail Hull for lending us her beautiful photo! Felicidades otra vez a Teresa Bueno de Atenas por identificar de forma correcta y rápida nuestro mosquero estriado (Myiophobus fasciatus). Tuvimos solo dos entradas para este concurso; de las cuales ambos fueron correctas. Hola San Vito Bird Club pajareros? Donde estan? Por favor, ocupamos mas contestas! Busca nuestro juga proxima y intentar a ganar! Nuevamente, ¡Gracias a Gail Hull por prestarnos su hermosa fotografía! 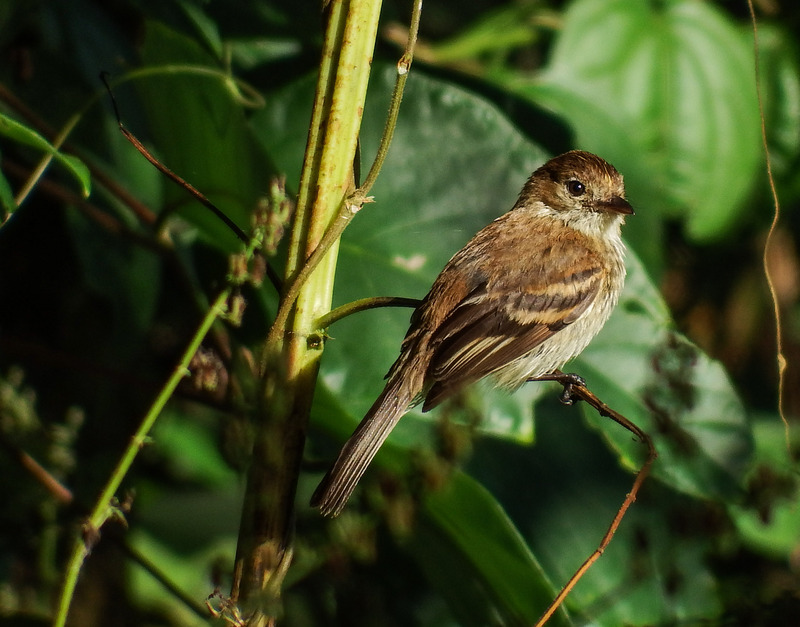 This entry was posted in Bird Quiz and tagged Birding in San Vito Costa Rica, Bran-colored Flycatcher, Quiz Bird Contest, San Joaquin Wetlands in San Vito Costa Rica by AWOlivieri. Bookmark the permalink.